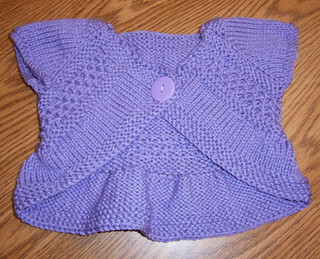 Thank you to Barb and Tracy of the 2 Knit Lit Chicks Podcast for playing our promo! Laura is still remodeling. She is also preparing for KnitDizzney (we are EXCITED!). The Sunnydale Yarn Club has been pushed back a month. More information to come. Jen got to attend a lecture by Sally Melville. We ask about your knitting choices–do you choose what to knit based on what you’d wear, or because the pattern looks awesome? She also went to some Speedway races, and brought her knitting. 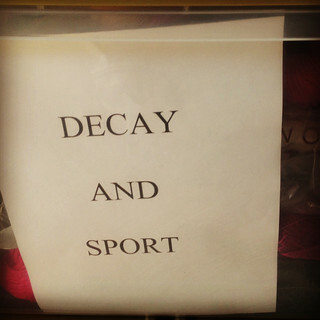 Where is the weirdest place you’ve brought your knitting? Finally, she has been cleaning her craft room and Ron made her the best label for one of her tubs. Communication Breakdown. But this is so adorable. We are THROWING DOWN to the other podcasters! We bet that we can get more hats collected for Halos of Hope by Stitches West than your listeners. Email us at knottygirlsknitcast@gmail.com if you want to participate. 2. Okay there are a few rules. 5. We finish at Stitches West. 6. Get your listeners on board however you want. We are still working out logistics to getting the hats counted, but get started knitting. We will work those details out as soon as possible. You can submit hats for more than one team (But each individual hat will only count for one team). There will be a prize drawing involved for the podcast team that collects the most hats. And KnottyGirls Listeners, we will have goodies for those of you who submit hats for our team! We will be talking more on the Fiber Hooligans Podcast on Monday, September 2nd so tune in to listen! 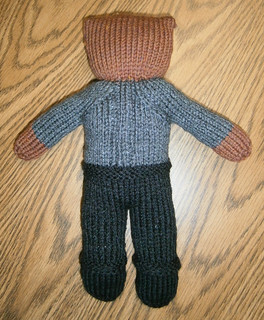 Laura has been knitting on a Simon Tam-inspired Mother Bear (Simon Tamda) out of Berroco Comfort and Knitpicks Brava. She is also working on her Gridiron Lattice Wingspan in the Mean Girls Yarn Club Colorway Hoar’s Yer Buddy. Her Sassy-tis (Clapotis) is out of Devil’s Tower and being worked on again. 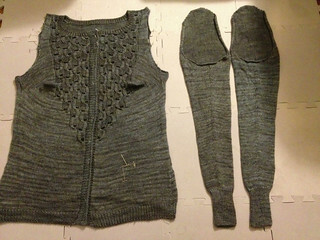 Jen is working on her Effervescence Cardigan, which is blocking and just needs finishing up (Sleeves sewn in and grosgrain ribbon and buttons added). She’s making it out of Madelinetosh Pashmina. 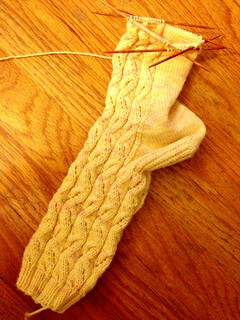 She’s also working on her Sunshine Socks. She started the first square from the Great American Afghan out of Cascade 220. The square was designed by Priscilla Gibson-Roberts. Shunshine on my shoulders feet makesh me happy. The first square of many. 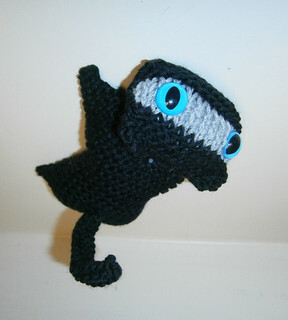 Laura also finished a Kninja Kitty. And she finished the Entrechat for her granddaughter. Shoutout to Knitrality for recommending the pattern. Laura is also a pattern slattern. She will be doing a Malcolm Reynolds Mother Bear (Malcubb Reynolds). 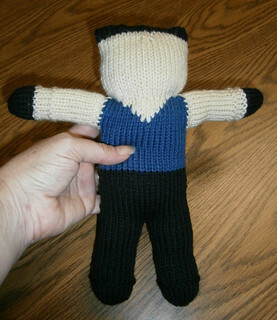 And then she will do the rest of the crew in Mother Bears (River, Zoe, and Jayne Cubb). 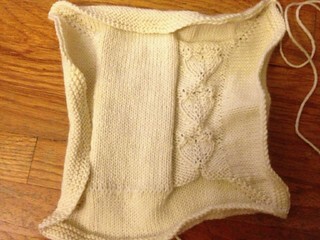 She will also be making the Tree of Life Fingerless Gloves by Jenny Williams out of Knitpicks Wool of the Andes. She is making two pairs for a close friend and his wife, one in the Thistle Colorway and one in the Forest Heather Colorway. She has the yarn all dyed and ready for the Effortless Cardigan by Hannah Fettig. She still plans to make a Minion army to guard her stash. Jen plans to cast on the Rocky Coast Cardigan out of the Fibre Company Organik in Highlands. She will be finally casting on her Watership Down Mystery KAL Shawl. She will be knitting the California Poppy Shawl out of Bahh La Jolla yarn for Melissa. She is also starting two secret projects. We do our 250 member milestone drawing. The winner is Jadee! Next milestone is at 500 members! We discuss Fiber Factor Challenge 3. This challenge involved Kenzie yarn, and we both want the yarn. Let us know your thoughts in the Fiber Factor thread in our Ravelry Group. We answer a question from our Knotty Talk Thread. QallieQ asks I want to do lace- I want to do a gradient shawl- I have never done either… where do I start?. We talk about the Ravelry Advanced Pattern Search to find easier lace patterns (however, we recommend not underestimating yourself!). Jen recommends The Old Man of Storr by Carie Harling to get used to chart reading. Laura also recommends the Peacock Feathers Shawl. We point listeners to the Unique Sheep Gradience Tutorials for how to use gradience yarns the way they dye them. We also mention long color repeat yarns like Freia Yarns and Desert Vista Dyeworks for another way to use gradient yarns. Please share advice and good lace patterns on our board. There is a Firefly-themed MMORPG coming. Sign up to be on the mailing list here. And there is a trailer. We mention the Mary Sue and the Signal Podcast. Jen brings up an awesome fan-generated theory by Jon Negroni that states that all Pixar movies take place in the same universe. We encourage you to take a look and let us know what you think. We talk a little bit about Ben Affleck being cast as Batman and encourage you to let us know your thoughts. KnitDizzney will be Sunday, September 8th, 2013 at Disneyland. We will be there from open to close. We will have a meetup at 2pm in the picnic area outside the Disneyland entrance; come say hi and get swag! Pre-orders are closed but yarn is still available in the Dizzy Blonde Etsy store. There will be pickup for T-shirts at the Yarn Garden in Whittier on August 31st from 2-5pm. Email Laura if you can’t pick up your yarn to make other arrangements. If you have concerns about mobility/disabled parking please look at relevant information on the Disney site or call (714) 781-INFO. Dizzy Blonde Yarns will also be for sale at the Yarnosphere Fiber Festival, in the Toluca Knit Jewelry and Fine Yarns Booth. This is a new festival, taking place October 12 and 13th. We will not be there, because we are at Cogknitive, but go support.